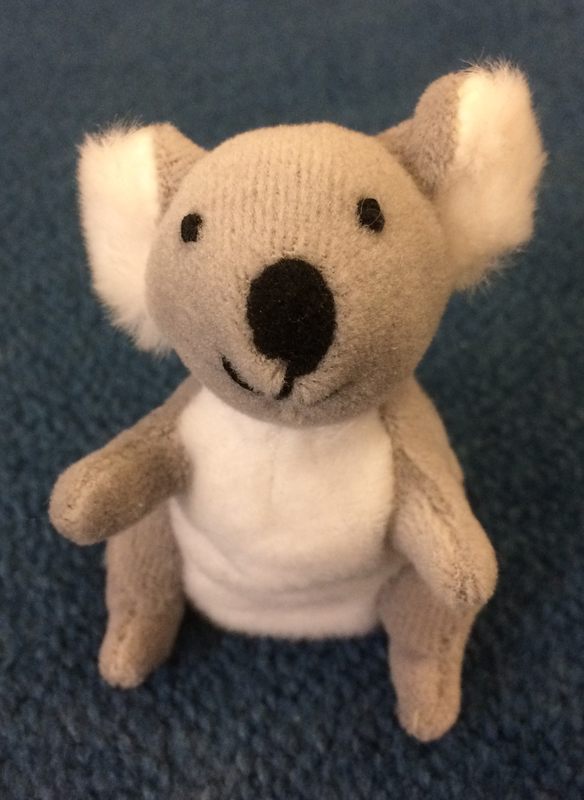 A gift from Australia from one music librarian to another. Sometimes you don’t always end up writing what you intended…This started out as a post for Australia Day 2018; but ended up as a rather different story. So how did MusiCB3 manage to travel from Poland to Sydney, via Canterbury and Cambridge, in the company of aristocrats, an intelligent woman, a notable disaster, and a superstar? Stopping off at London en route, and bumping into an expedition that went wrong, although it turned out right. Welcome to the sometimes topsy-turvy world of Isaac Nathan. The earliest items that we have that are connected with Australia are by Isaac Nathan (ca. 1791-1864), who is often referred to as the “father” of Australian music. Nathan was born in Canterbury, England, the son of a Jewish cantor from Poland. It was intended that Nathan should follow his father’s career, and he came to Cambridge to study under Solomon Lyon, who was a teacher of Hebrew at the University. The full story of Lyon’s life can be read in a fascinating article in Jewish Historical Studies, vol. 36 (1999-2001). Revd Solomon Lyon of Cambridge, 1755-1820 by Naomi Cream – available here with JSTOR subscription. As well as teaching Hebrew, Lyon also taught Chaldean (Aramaic), Latin and German; while general subjects were taught at the school he set up, which is where Nathan was sent to study. The family plans for Nathan to become a cantor fell through however when it became clear that his passion was for secular music. His violin playing, though entrancing, became too much for Cambridge society, when he started to practice regularly at 4 am, and, with his family’s consent, he moved back to London to study with Domenico Corri. He did stay in contact with a friend from Cambridge, Solomon’s eldest daughter, Emma. Emma was an incredibly well-educated woman, and during a period when the family fell into poverty as a result of her father’s blindness due to cataracts, Emma was the main breadwinner for her parents and 16 siblings, selling her poetry and lyrics. It may have been through Emma that Nathan made contact with John Braham, the superstar tenor of his day, and a fellow Jew. All three would be astonishingly socially mobile, making their way in a society that could still be virulently anti-Semitic. The fact that they achieved this while all three came from very humble backgrounds is quite astounding. What is probably most extraordinary about Nathan’s Hebrew Melodies [first 2 sets in the UL – item nos. 1-2 in volume MUS.21.52] is that he persuaded a literary superstar of the day to provide the lyrics for the tunes. Lord Byron produced four sets of lyrics including some poems that would become favourites of Byron aficionados – who would have thought that such works as She walks in beauty like the night, or, The destruction of Sennacherib, would have their genesis in a set of Hebrew songs, whose tunes are now, sadly, generally long forgotten? Both sets of lyrics have gone on to have a musical life of their own, post-Nathan, being set by many composers from Granville Bantock to Modest Mussorgsky, as well as modern composers like David Childs and Kevin Memley. 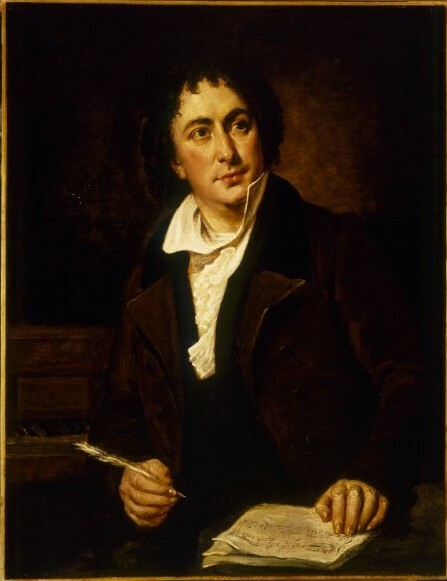 Nathan went on to write songs featuring the lyrics of Emma Lyon, and dedicated to John Braham. Emma Lyon’s name also graced a set of dances. Then Nathan’s luck changed, Byron left Britain to die in Missolonghi, and Nathan’s other patron, the much loved Princess Charlotte died in childbirth. Perhaps it was through the Lyon family, whose eldest son, Isaac, had already made his way to Australia, that Nathan got the idea of taking the long journey to the other side of the world? He arrived with his family in Australia in 1841, and soon became a musical adviser to the synagogue and the Roman Catholic Cathedral in Sydney. He was also responsible for some of the earliest performances of Mozart and Beethoven in the sub-continent. He also worked with local poets. Leichhardt’s grave was composed in memory of the explorer, Leichhardt, believed lost on an expedition to Port Essington, with loving words by his friend, Sydney poet, Robert Lynd. Unfortunately for Lynd and Nathan, though luckily for Leichhardt, the news of his death was premature, and he later turned up fit and well in Sydney. Nathan with typical panache turned what might have been a tricky moment into a musical triumph with a follow-up paean. Unusually for the period he lived in, but in keeping with the kind of person that Nathan was, he was one of the first musicians to transcribe the music of the indigenous people of Australia. Nathan was also unlucky enough to make his mark on Antipodean society by becoming the first victim of death by tram-car in the Southern Hemisphere, when he was run over by the horse-drawn tram from which he was alighting. An unfortunate end to an extraordinary life, Nathan’s influence on Australian society would continue into contemporary times. Renowned conductor and arranger, Charles Mackerras was a descendant of Isaac Nathan, (you can listen to Mackerras’ arrangement of Arthur Sullivan, Pineapple Poll, at the Pendlebury library, CD.C.412). There’s more by Nathan at the UL, come and have a look. Music Collections Supervisor at Cambridge University Library. Wide musical interests. Often to be found stuck in a composer's archive, or enthusing about antiquarian music. This entry was posted in Uncategorized and tagged Australia, C19 music, music at the UL, social mobility, To celebrate to commemorate. Bookmark the permalink. Thank you, Matthew for the kind comments, and for the performances of Isaac Nathan! How lovely to see the entire concert online. Have had some really good feedback about this especially from the project Claimed from Stationers Hall (https://claimedfromstationershall.wordpress.com/), who were very familiar with Isaac Nathan. Thank you for the links, they’re much appreciated.